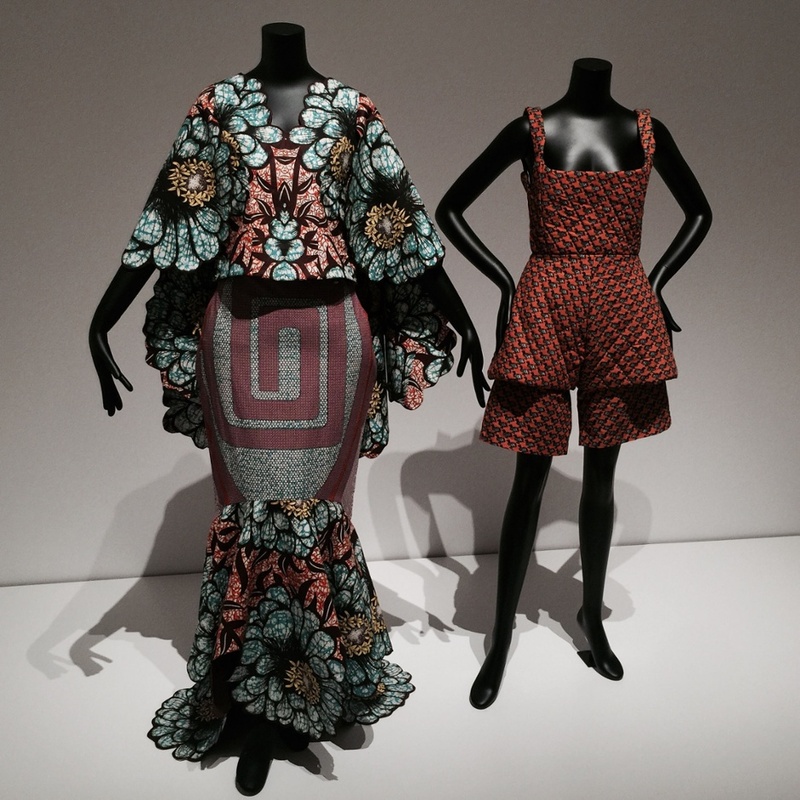 MoMA’s latest exhibit titled Items: Is Fashion Modern? opened to the public last Sunday, October 1st, 2017 and will be open until January 27th, 2018. The exhibit includes a collection of 111 items that have helped define and redefine what we know as fashion, all while discussing the iconic history of apparel. The ambiance of the exhibit pulls the viewer in. As you stroll through the displays, there are informational plaques which discuss various defining factors of fashion. Consumers look to the fashion industry to inspire us with things that we can wear to express ourselves. One of the displays that demonstrates this change is silhouette by showing the evolution of the infamous “Little Black Dress” started by Coco Chanel. Along with the evolution of the Little Black Dress, we also begin to see a shift in body ideals. As designer Rudi Gernreich put it when questioned about his thoughts on the future of fashion, “the aesthetics of fashion are going to involve the body itself, we will train the body to grow beautifully rather than cover it to produce beauty,” which one can confirm from the direction fashion is taking presently. Along with the shift in direction when it comes to the ideals of the body, gendered clothing undergoes a revolution as well. 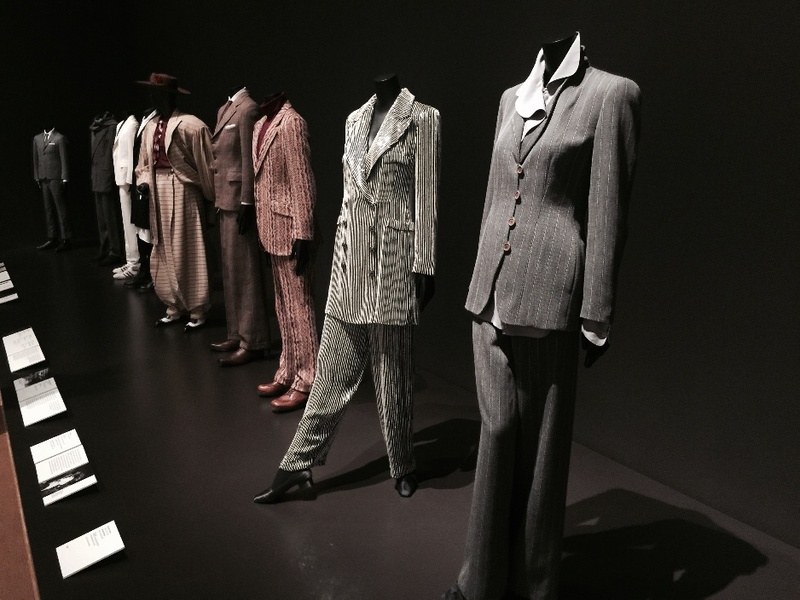 The introduction of the Smoking Suit in 1967 by Yves Saint Laurent challenged gendered fashion, revolutionized the industry and worked to break gender binaries. Though there is evolution and revolution in fashion, the displays also show the reworking of a garment over time. From bags to platform shoes, these pieces often showed shifts in society. When looking at the shoes, you can see how the style of the same items changes in colors and textures, often becoming more intricate. Dresses became shorter and were made available in more colors, shapes, and textures. Suits changed silhouettes and styles, and men began wearing pants. Walking through the exhibit is like watching the world change right in front of your eyes. Videos shown in the exhibit display things such as the importance of headdresses. Donna Karan enlightens the viewer with her thoughts while they take a look at her work. One of my favorite lines from her video was “Women think of love, men think of victory. I love victory.” It’s an all-around immersive experience while you’re walking through the exhibition and looking at these items.is exhibition truly delves into the iconic transformative history of the fashion world, which many people often forget to acknowledge. Watch the MoMA director Glenn Lowry interviewing curator Paola Antonelli on the opening of the exhibition, "Items: Is Fashion Modern?"